When you apply for new position, it is highly likely that you are up against multiple other job candidates. Your resume might be the only opportunity you get to sell yourself to a hiring manager and land a face-to-face interview. Choosing the proper format for your resume will highlight your strengths and point out your accomplishments to help you get your foot in the door. Resumes using a chronological format are the most common. If you have a solid work history without many gaps and have generally worked in the same field or type of position in the majority of these jobs, using the chronological resume format is preferable. Employers favor the chronological format, since it simplifies the task of determining what jobs you have held and for what length of time. To make a chronological resume, begin with an address block displaying your name and contact information. Include a career objective below the contact information. In the body of a chronological resume, list past job experience beginning with your most recent position and working backward. Include the name of the business, dates employed, job title and a brief description of your duties. You may also include a block for education details at the bottom of the resume. If you have a fair amount of interruptions in your work history or are attempting to change careers, a functional resume will probably be the proper format choice. A functional resume concentrates on your knowledge and skills, rather than the chronological order of your previous positions. Using the functional resume format allows you to display your talents and experiences that are relevant to the position for which you are applying. To create a functional resume, begin with an address block providing your name and contact information. 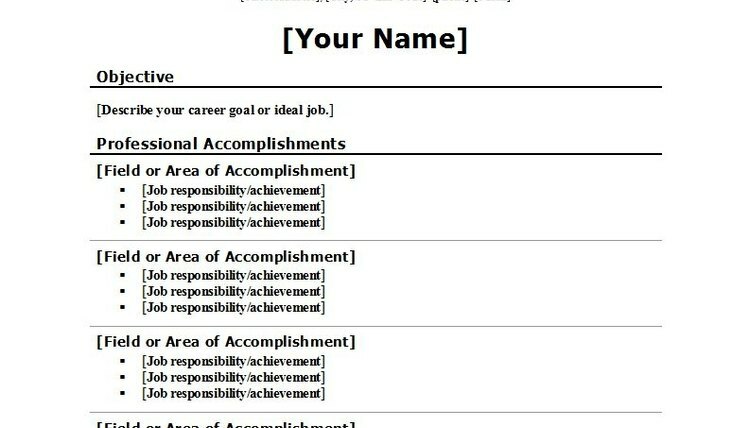 Add a concise career objective, and then list the fields in which you have worked. Include several responsibilities, skills and accomplishments associated with each field, listing each one as a bullet point. If desired, at the bottom of the resume you may include a brief employment history listing businesses with whom you were employed as well as dates of employment. This is the combination resume format, as it combines the formats of a chronological resume with a functional resume. If you are seeking and have the skills and experience for one particular position, consider using the targeted resume format. 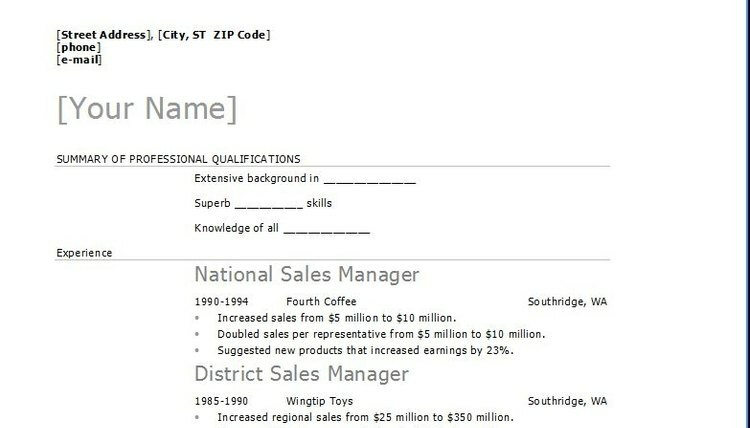 To use this format properly, type in an address block with your name and contact information, followed by a detailed summary of your qualifications for the targeted position. Next, list your professional experience, beginning with most recent. Make the job title more prominent than the business name and dates, and detail your accomplishments and responsibilities that match the position you are seeking. Goss, Tricia. "Proper Resume Formats." 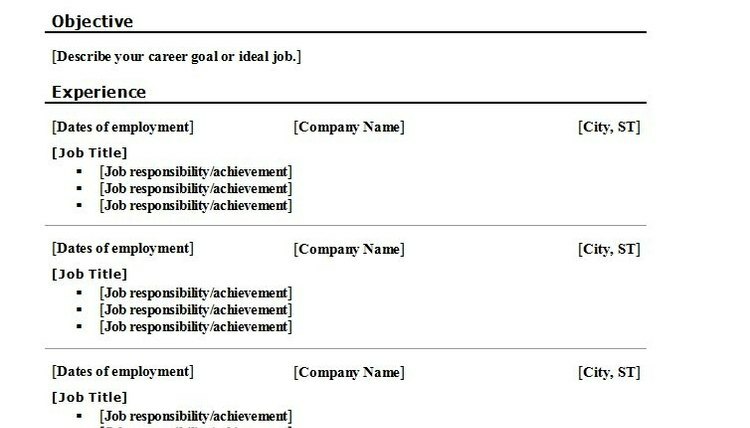 , https://careertrend.com/way-5179450-proper-resume-formats.html. 05 July 2017.